West London giants Chelsea are strongly interested in a move for highly-rated Olympique Lyon forward Nabil Fekir ahead of the upcoming transfer window. According to French news outlet L’Equipe, the Blues are keen to strengthen their attack during the transfer window in January. 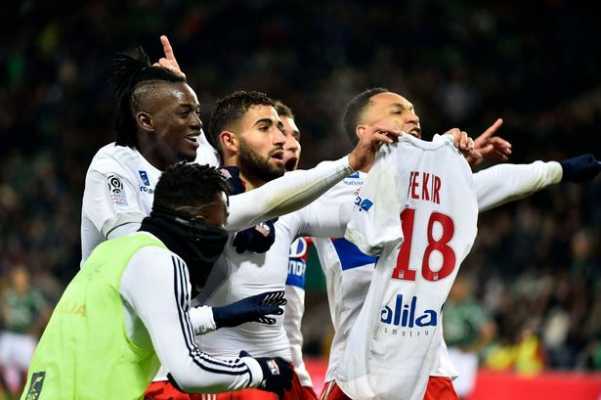 It was further revealed that Chelsea have identified Nabil Fekir as one of their potential transfer targets when the transfer window reopens. The 25-year-old came close to a Premier League move in the summer only for rivals Liverpool to pull the plug on his move due to concerns over possible effects of a knee injury. The Reds had earlier agreed to a deal of around €60m with his French Ligue 1 side. Nabil Fekir was part of the French team that won the 2018 FIFA World Cup tournament in Russia. France defeated Croatia 4-2 to lift their second World Cup title after they hosted and won the 1998 edition on home soil. The aforementioned report also revealed that Bournemouth striker Callum Wilson is on the list of potential attacking options for Chelsea and Maurizio Sarri. He has proven to be one of the most lethal strikers in the Premier League this season. Callum Wilson has scored seven goals for Bournemouth this season in all competitions.